We’re thrilled to be the official hotel sponsor for the 2012 Halifax ComedyFest and we look forward to welcoming guests to the Nova Scotian. 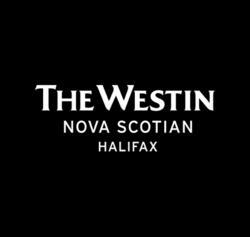 The Westin Nova Scotian Halifax Hotel is the proud official sponsor hotel of the 2012 Halifax ComedyFest. Stay with downtown Halifax hotel and enjoy the ultimate weekend of laughter and rejuvenation in the best of Halifax accommodations. Our downtown Halifax hotel is located in the heart of the Halifax Seaport District, next to the Halifax Seaport Farmers’ Market, Garrison Brewing and the Halifax Harbourfront. Enjoy a Halifax vacation at the Westin Nova Scotian during Halifax ComedyFest. To book this Halifax hotel package, book online or call 866-716-8101 and mention SPRING. Prefer just Halifax accommodations? Stay for only $119 per night from April 24th-28th. Deep in the heart of downtown Halifax, the AAA Four Diamond Westin Nova Scotian, owned and operated by New Castle Hotels & Resorts, offers first-class accommodations in elegant and historic surroundings. With 310 well-appointed guest rooms and a great location, guests are provided with a complimentary shuttle service for fabulous downtown shopping, exciting nightlife, historic attractions, and numerous restaurants. The Westin has achieved a 4 leaf rating (out of 5) from the Audubon Green Leaf Eco-Rating Program. For more information visit http://www.thewestinnovascotian.com or call toll free at 1-877-9-WESTIN.